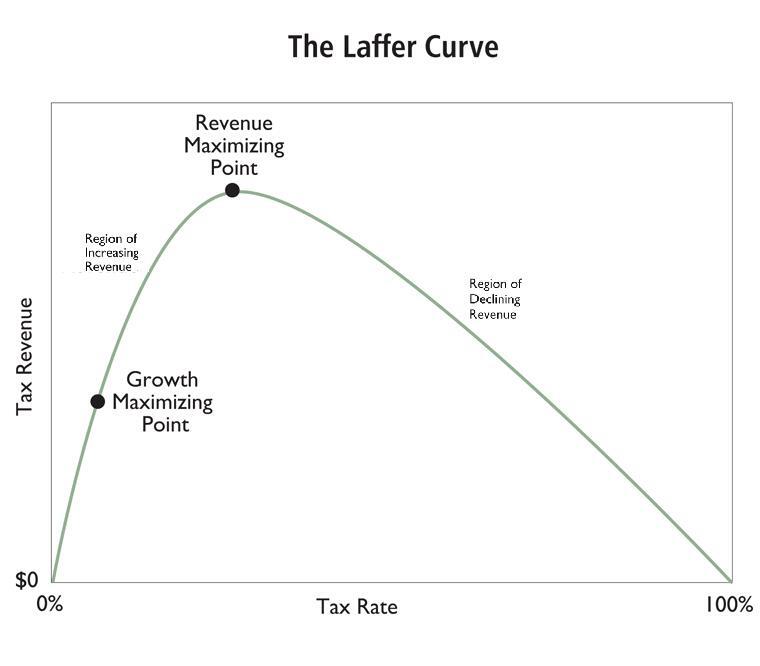 The Laffer Curve, Tax Progressivity, and Government Revenue: What’s the Higher Priority for Leftists, Raising Revenue or Punishing Success? When discussing “progressivity” it is important to differentiate between changing marginal tax rates based on income levels and progressivity in effective tax rates. A true flat tax with no standard deduction or prebate is not progressive and it is not regressive, it is neutral. A neutral tax is politically unacceptable. What is desireable is a single tax rate, whether flat or fair, that puts a lid on maximum marginal rates (which would include loss of government benefits) and eliminates wealth taxes, combined with enough progressivity from a standard deduction or prebate to make effective tax rates politically acceptable. The trade-off is NOT between a true flat tax verses a progressive flat tax; it is between a progressive flat tax and the current tax code. A progressive flat tax is so far superior to the current code that progressivity can be bumped up substantially to get it passed. Viewing it on a static basis, it looks like the lower quintiles are getting a deal. However, with no taxes on wealth and a dynamic economy all quintiles will come out far ahead. 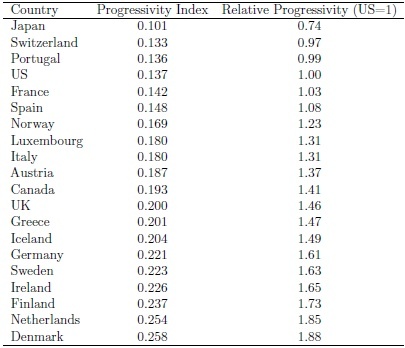 You only need a more progressive tax environment compared to other nations to be on a path to decline. International competitiveness depends on very narrow margins. But this is not merely a defect of dog eat dog capitalism (to somehow be redressed through the OECD and other homogenizing international bureaucracies). It is a fare reality. Because even small differences, when compounded through time lead to huge prosperity deviations for your descendants. A mere 1% annual growth deficit compared to the world average, when compounded over a couple of generations leads to huge declines in relative world prosperity standings. This is the path to decline that most developed world voter-lemmings seem to have chosen.